Google and Apple have proven to be a rival indirectly or directly with the disputes on Android powered OEM’s like HTC, Motorola and Samsung. Both companies have been working hard to defeat anyone while serving best thing to their customers, until now, Apple has been leading from Google by the launch of its iPhone, and the magical tablet device called iPad. The iPad is seemed to be the only one product which is the reason of the Apple’s victory on the Android, and the iOS which has powered the iPhone to overcome on the Android powered devices. It appears that search giant is seeking to introduce a newly worked tablet in the device with highest quality hardware, another try of Android to overcome the Apple’s tablet market. 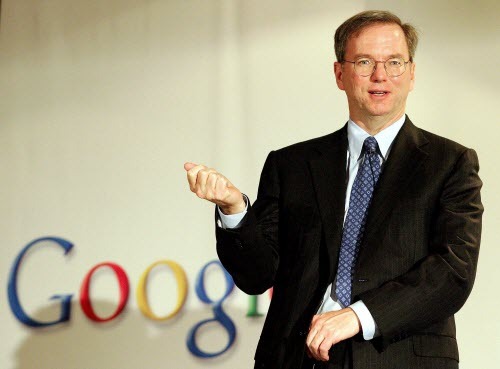 Google’s Chairman Eric Schmidt has revealed the future plans of the company while interviewing with an Italian newspaper that the company will introduce its own tablet device within the time period of six months with high-quality hardware, to defeat their big rival in the market. It appears that Google has been readying up for the another round of device launch while targeting the Apple’s most popular device “iPad” in the media, many OEM’s in the past had tried a lot with their Android powered devices to beat the Apple in the market, but everyone wants the magical device of Apple, which has changed the livings of the people. Before you get too excited about the arrival of the new device, let me clear, the Italian report on which we are claiming there is machine translated into English using the Google’s Translate service. So it might be possible that Schmidt may be talked regarding Google to launch a new tablet device with OEM partnership or just to represent a new tablet of their acquired company tablet like (XOOM). Maybe Google introduces its own tablet with Motorola Mobility. It’s unsuitable to bring up a new rumor at the moment regarding the device without knowing the real aspects of the report. However, we would say there might be something big is coming soon in next six months from Google.